A little over 15 years ago, at the 2002 Grammy Awards, Mary J. Blige performed one of her greatest exorcisms. This was seven months after the release of No More Drama, and she arrived on stage in a gold lamé suit, hair curled up in a windblown crop, to sing the album’s title track, a transcendent anthem that builds into a spiritual explosion. By the time the song reaches its climax, Blige is stalking the stage, wailing into the ether and miming a search for “demons” in the pulpit. Once again, she made it known that a spirit had been caught, that something deep inside was extracting itself out. She’s performed the song many times, at sad and glorious stages of her life, with various degrees of release, but the Grammy performance has stuck with me as peak Mary, some divine interpretative catharsis. 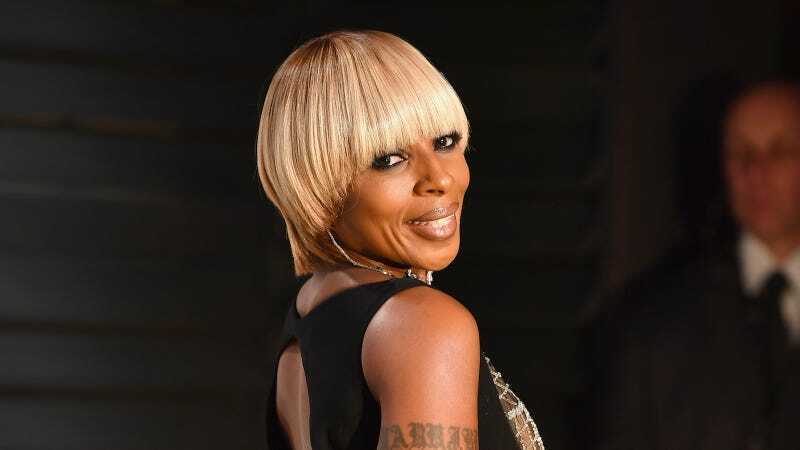 In other interviews leading up to the album’s release, Blige has willed herself to speak about her husband’s suspected infidelity. (The latest rumor was that he cheated on her with a singer named Starshell, who Blige discovered and groomed.) And so it goes: accusations get exposed in songs about deception, instinct and survival, with spare, measured production that snaps and knocks in ways meant to pattern the process of soldiering on, in formation. Blige likes to dig into the feeling of seeing the wolf in his own clothing, describing how marriage changes a person and how betrayal can do that, too. She speaks directly to this duality on “Thank You” and “It’s Me,” where she sings, “You fell in love with who you’re looking at,” making the point that her other half transformed for the worst. The ministry is the message, and it all sounds better coming from Blige than it would from an artist who’s barely suffered. Too often, Blige has had to serve both as her own therapist and a distant ear to the brokenhearted. Over the years, she’s built up enough of an emotional IQ and the language to articulate love, desperation and anger. On songs in the vein of “Thick of It,” she’s suspicious but buries her anxiety in the dorsals of her brain—“I hope that I’m wrong,” she sings instead, self-medicating on one of my favorites, “U + Me,” smooth both in flow and in the way it paints the portrait of a relationship criminal. These are the times she has to call herself queen when she doesn’t feel like it. The secret to Mary is always her voice, whatever raw ingredient she puts in it that hurts her and us all the same. She’s broken again, aged imperfectly, but lest anyone be mistaken, the point is that she’s coming through the other side covered in diamonds. She’s not actually indestructible in love, but she is guaranteed to be fine.